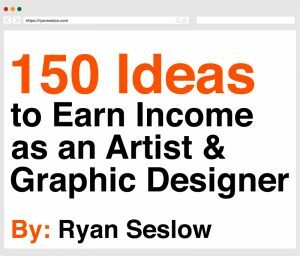 Ryan Seslow GIF-ing on 15 Folds. My friends at 15folds invited me to participate in their awesome GIF collective this month of January 2014. The theme is LUCK. I submitted these 4 GIFs below for the project but here is the one they selected. A description for each GIF was also generated as a part of the process. I created all 4 of these GIFs in one immediate work session. Overall, I wanted the pieces to be fun, yet over stimulating. The word LUCK has been reorganized to form an alternative letter formation than what one is used to seeing, this is a metaphor in and of itself that change can be as simple as re-organizing things. Sopmetimes it is on purpose, and sometimes it is by chance and or a stroke of luck. The horseshoes are also a metaphor and symbolic for luck, but in this case, we se many many horseshoes over flowing and abundant, showing us that our luck can also change in abundance. The flashing monochromatic values of green connect to the cultural impacts the color Green represents for luck. Each value represents another layer of luck. Lucky Charms is a cereal that I used to eat as a child growing up here in the USA. I am shocked that my parents allowed for me the eat this completely nutrition-less sugar infused box of garbage. But as a kid, I wanted it! Today, I know better, and for the most part do not eat any sugar. The imagery on the box was seductive, using bright primary and secondary colors, along with a “lucky” leprechaun and current toys from popular culture at the time. This formula worked wonders in seducing children between the ages of 3-12, and by 12 one was hooked as an unconscious sugar addict. This GIF is to remind me, and my fellow human beings, there is nothing Lucky about Lucky Charms, but I will induce it with this GIF to make it even more appealing, or perhaps not as it sputters and spits and glitches as it tries to continue to ask us, even today to eat its product. FICTION?! Perhaps not! A young girl, symbolic and used as a symbol of humanity, endlessly passes through a pouring rain of lucky rabbit’s feet, never reaching her goal, walking in circles, only to find that she is addicted to “wanting” more want. As the GIF repeats, it provokes the viewer to answer: How many choices are we consciously making these days based on individual passion or desire about a feeling we have towards something? Are we following the crowd or honoring our authenticity? As you look around, are you dressed like everyone else, or are you reeking of YOU? Be sure to check out the whole project as it is super creative and inspiring!